The Vermont Spartan Beast is a series of obstacle course races Sept. 22-23. 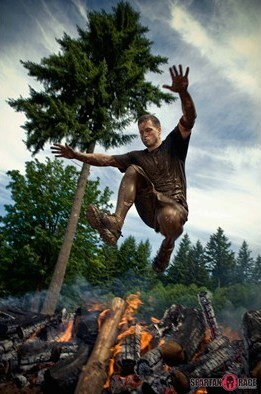 This is the second year Killington Resort has hosted the Spartan courses. The Beast, the most popular option, is a 13 mile obstacle course. The Ultra Beast Marathon is twice that at 26.2 miles and is open by invitation only. This year, there will also be the Vermont High School Challenge, a three-mile course for students 13 and older, and two kids challenges: The Jr. Spartan and the Varsity Spartan, 0.5 miles and 1 mile respectively for kids age 4-13. The courses are designed “as the ultimate test of resolve” and many who start The Beast won’t be able to complete the course, organizers anticipate. So this year, they have created a ‘dignified exit’ at mile three. “Each racer will have to confront the choice between luxury and relaxation or facing nine more miles of HELL,” explain Spartan race organizers on the site. Racers choosing to exit will not receive official time or medal for their efforts. The fastest time for the 13 mile course is expected to be around three hours with the majority finishing the race between five and eight hours. The first heat starts off at 8 a.m. on Saturday. Racers will not get a course map to study. While there are some obstacles that seem to be “Spartan staples,” many are venue-specific inspired by the particular challenges of local terrain. However, for the Killington race, participants have been warned that there will be 1-2 water crossings/obstacles on the course and others may include a slippery incline wall, cargo net climb, barbed wire crawl, a mud crawl, spear throw, fire jump and gladiator pit. Joe Desena, local endurance athlete and owner of Peak Races has been training with two athletes out of his Spartan Race headquarters in Pittsfield, Vt. While they have different time-goals, both seek to push past previous limitations. Chris Davis has lost over 50% of his original weight and hopes to cross the Ultra Beast finish line, and Tucker Marshal hopes to win that race. Chris Davis not long ago was 696 pounds. In 2010, he heard of the Spartan Race and started losing weight, he explains on his blog. On April 12, just five months ago, he moved to Spartan Race Training Camp in Pittsfield, Vt.; he was just under 400 pounds at the time. With the help of the Spartan Race motivation and staff, including founder Joe Desena, his goal was to get to 180 pounds by race day- a loss of an additional 200 pounds. Davis has gone through this process under the watchful eye of Dr. Jeff Godin and founder Joe Desena on a diet of raw fruit and vegetables. “This is more of a lifestyle than a race,” said Desena, and that’s exactly what it needs to be, according to data on successful dieting. The National Institute of Health has estimated that dieters can expect to regain two-thirds of their lost weight within a year of completing their diet plan and to regain all of their weight, and possibly more, within five years. What is required for long-term weight loss and health is exactly what Desena described, a change in lifestyle. Chris Davis is certainly an inspiration, especially for the nearly 2/3 of the US population that is overweight and the 34% of Americans that are clinically obese, according to the National Center for Health Statistics. Obesity is directly linked to the top three most statistically likely causes of death: heart disease (1 in 5 chance), cancer (1 in 7 chance), and stroke (1 in 24 chance), published National Geographic. Davis and Desena will race the Ultra Beast together this weekend, pushing past each obstacle along their 26.2 mile path. Tucker Marshal, an endurance athlete and a local racer, hopes to win the Ultra Beast so that he can fund another season on the US Ski Team. He seeks the prize money. He shares a typical day of training on his blog, saying days begin with breakfast at 4:30 a.m. then carries a 100 lb. sandbag up and down a mountain three times for a total of 11 miles. “It takes me somewhere around 5 and a half hours,” he says. After lunch he heads out for 10 mile jog, which is followed up by an ice bath in the river and another five-mile hike. “I do all these things and yet it still doesn’t compare to the athletes I am surrounded by… If I were to succeed in this I am confident that I have the best people at my side,” Marshal says of his comrades at the Pittsfield headquarters. There are new levels beginning with the entry level Spartan Sprint, intermediate level Super Spartan, the advanced Spartan Beast, and the ‘99.9% need not apply’ extreme level Spartan Death Race. Additionally, kid and teen divisions are offered at many races to inspire health and fitness at early ages with a variety of scaled down obstacles. The Kids Fit Foundation is the host of the Killington Jr. Spartan and Varsity Spartan races. “As a leader in the movement to help children learn life-long health and fitness habits, the Kids Fit Foundation strives to raise awareness and develop programs that educate, empower and inspire kids to become and stay fit,” states the Foundation. The High School Division for teens 13 and up, has been promoted regionally at many schools where teachers, parents and administrators advocate for such obstacle course athletics to be incorporated more into schools. Blanchard is hoping to get about 30 participants from Fair Haven High School and hundreds more from dozens of High Schools around the region to join in this years challenge at Killington. Spectator tickets are available online for $10 or purchase them on-site for $15 (cash). As a Spartan Race spectator, you’ll receive $5 Spartan bucks redeemable at the merchandise tent, entry to the rocking festival area, a festival map, access to some of the obstacles on course, Gladiator pit and finish line. Spectators will have the opportunity to test their fitness, too, at the Pull-Up Challenge, Slosh Pipe Challenge, Kaiser Challenge and Traverse Wall Challenge. Perhaps, next year you too will be standing on the Spartan starting line.